Aliso Viejo residents are eligible to play golf at the Aliso Viejo Country Club, located at 33 Santa Barbara Drive. A limited number of tee times are reserved each day for residents and their guests. Aliso Viejo residents may call to secure a tee time up to 6 days in advance. Please call the club directly at 949-609-3307. Reservations can be made for 1 to 4 players. Only the player making the reservation needs to be a resident. Proof of residence is required. Walk-ons are welcome subject to availability, but reservations are recommended. Prices are subject to change. Monday - regular rate is $100; resident rate is $50. Tuesday through Thursday - regular rate is $100; resident rate is $90. Friday, Saturday, Sundays and holidays - regular rate is $150; resident rate is $135. Residents enjoy 10% off published unaccompanied member guest rates the club may offer. 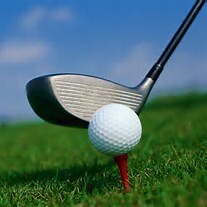 Call the club at 949-609-3307 to secure your reservation to play. For more information about this and other City-sponsored events, contact Community Services Director, Karen Crocker at kcrocker@cityofalisoviejo.com. PROVIDE EXCEPTIONAL CUSTOMER SERVICE AND READY TO ASSIST YOU!! !